this is not a valentine's day post. it's a friday date night post. i had plan a (going away for the weekend), b (maggiano's downtown), and c (triumph brewing co. on chestnut street) but, thanks to the snow, we went with plan d, a local brewery over in chestnut hill. 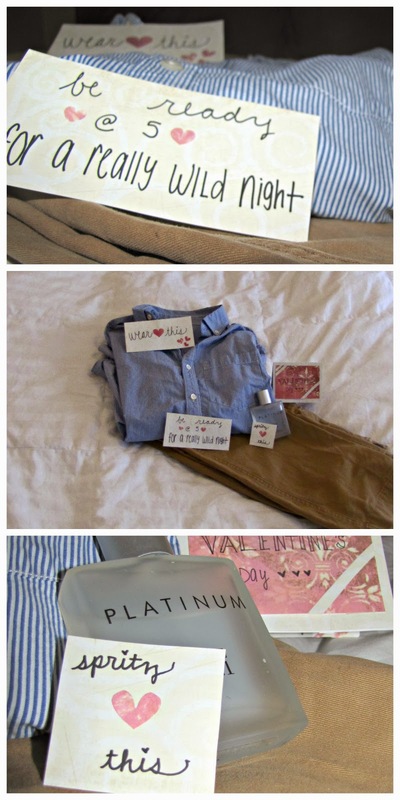 i still laid out some valentine's-day-ish stuff that surprised him when he got home (sorry, i guess this is a valentine's day post?). despite what i had laid out, we went a little more casual (since this outfit was more geared for plan b, a downtown italian dinner). but he did wear the cologne i picked out, which he bought on our honeymoon. so, he smelled like our honeymoon. it was perfect. t e r r i b l e !!!). but anyway. it was such a perfect movie. i love devin. i love his deep blue eyes, his heart for Jesus and his word, the way he tosses lettuce at my face during dinner because i told him that the lettuce on the table came from his plate (and not from mine)...he's great. and, like our premarital counselors reminded us in the months leading up to the wedding, i'm God's best for him. and he's God's best for me.